afrol News, 10 March - King Mohammed VI, with his speech announcing constitutional reforms, improved his ratings by the Moroccan pro-democracy movement. "It shows he is listening," say typical reactions. The Moroccan King went far in compromising during his televised speech last night, addressing many of the issues raised by the pro-democracy movement. Mohammed VI previously had not been the main target for protesters, and his speech further increased his popularity. In his speech, he promised to initiate "comprehensive reforms" in "continuing interaction" with all stakeholders, not including the youth and the protest movement. Reforms would build on the current "regionalisation process" furthering decentralisation of power, but also include constitutional reform. "I call on everyone to continue contributing to this general plan to bring it to maturity, through a wide-ranging, constructive national debate," King Mohammed VI said, thus inviting also the protest movement and civil society groups to negotiate about how reforms could be implemented in detail. The King urged for a "democratic constitution," which was to strengthen the separation of powers; assure an independent judiciary; seek free and fair elections; transferring royal powers over government to parliament; and assuring the rights of the Berber people. A committee was now being set up to propose a new constitution by June. The process would end up in "a constitutional referendum," the King announced. uction of a constitutional monarchy following the Spanish or British model and with very limited powers to the King. 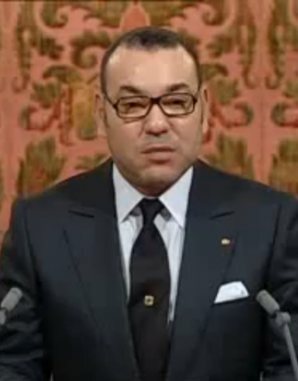 While addressing most of the democracy-related demands of he movement, King Mohammed VI however failed to comment demands regarding corruption and human rights. Nevertheless, the first reactions by the protest movement have been widely positive. "Moroccans for Change" on social media during the day vividly have discussed the King's speech. Reactions had a wide span. "Did King Mohammed VI join the 20 February movement for change?" asks one. "It is a good start. It means he is listening, and negotiating," commented another. Some were quick to add that "pressure for reforms will continue." The most sceptical held that the King was never the problem, but the ruling "Makhzen" class, widely described as corrupt. "The Makhzen should start by the easiest deeds, which is freeing all political prisoners," one protester commented, noting that Morocco's dire human rights situation and systematic police brutality was not treated in the King's speech. Generally, however, the reception of King Mohammed's speech was rather enthusiastic, boding well for a peaceful negotiation process towards a more democratic Morocco. 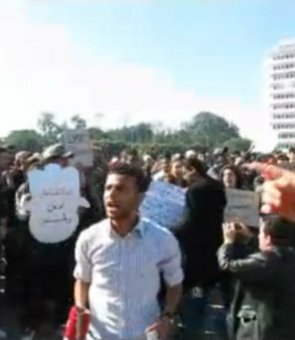 "Time will show," a protester commented, adding that the movement needed to keep up the pressure for reforms as the Makhzen would try to limit the extent of reform.